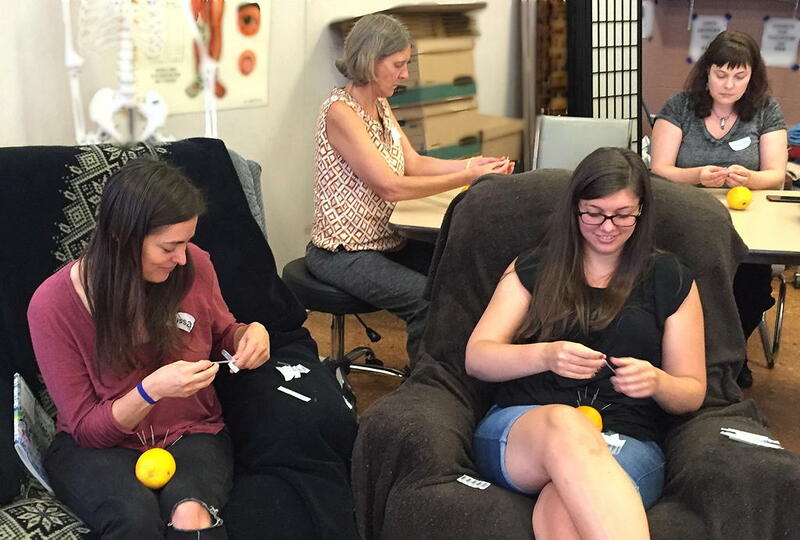 POCA Tech Sustainers make simple, ongoing monthly gifts that support our school and make it possible to train the next generation of community acupuncturists without the burden of student loan debt. Our Sustainers' contributions, starting at just $5 a month, make a huge difference by helping us keep tuition low for our students. Sustainers receive monthly newsletters that show the progress of our school, our students and our graduates. 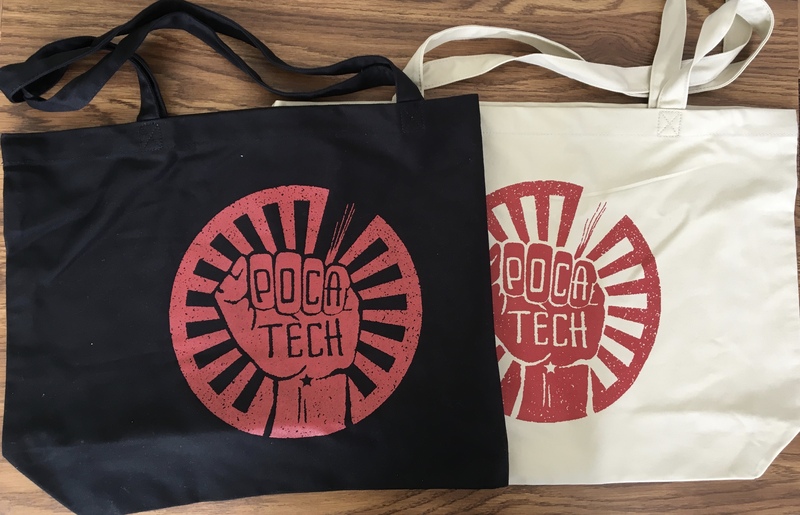 Sustainers who donate $10/month or more can also receive a fabulous upcycled POCA Tech t-shirt, if they want, and sustainers who donate $20/month or more can receive a snazzy POCA Tech tote bag! 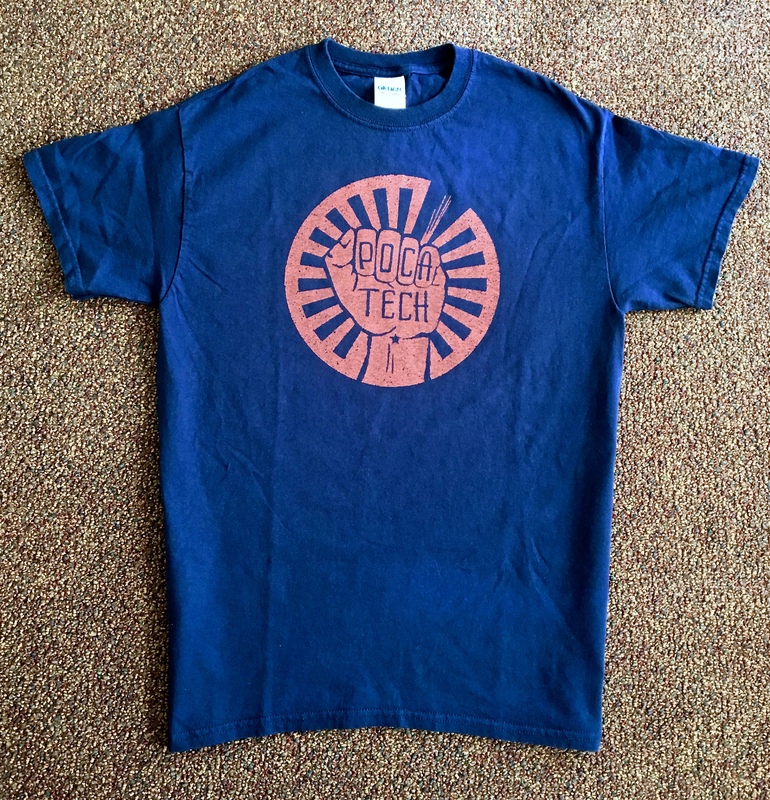 POCA Tech uses an online donation platform, Philantro, that enables automatic credit or debit card charges. It's easy!